Old Penang GuestHouse i Penang, Malaysia: Reservér nu! 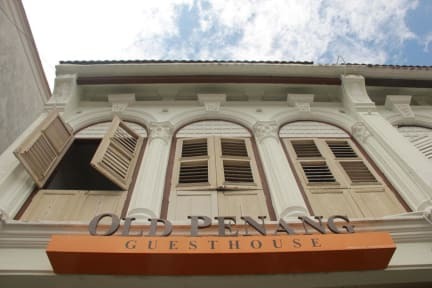 Old Penang Guesthouse is a heritage guesthouse that combines the charm of Penang's yesteryears with modern amenities. 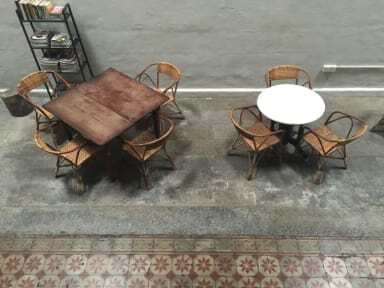 Conveniently located in the heart of Georgetown, a UNESCO world heritage site, the guesthouse is a stone's throw from Penang's major historical landmarks and tourist attractions. Old Penang Guesthouse offers amazing value for travelers who seeking for comfortable and unforgettable heritage stay on budget. Old Penang Guesthouse is a beautifully restored pre-war building in the historic city of Penang, Malaysia. The building is believed to have been constructed more than 100 years ago. It is especially important as an example of a very early shophouse prototype. From the original mosaic-tiled flooring, intricate artwork, inner courtyard and to wooden shuttered windows, every aspect echoes the history of the region. As a respect of its original design and history, we have retained much of the building's old world charm during the conversion. The design integrates old with new, modern with historic, ensuring that the total experience is one that is authentic, honouring the past while bringing every modern convenience to bear. All our rooms are air-conditioned, spacious, clean and thoughtfully furnished with modern day amenities. The room is fitted with authentic antique lamps, mirror and decorated with picture by renowned local artist. The ground floor is a spacious lounge area with central courtyards which sunlight is come into. Most of the guesthouse utilize the floor area by maximizing the number of rooms, however we keep the ground floor with inner courtyards as space for guests to relax and interact. Moreover, it is also one of the way to retain its original design and purpose. You can watch movie, surf internet, drive into book or enjoy tea break here.